Rue Octave Feuillet - Henri Martin. 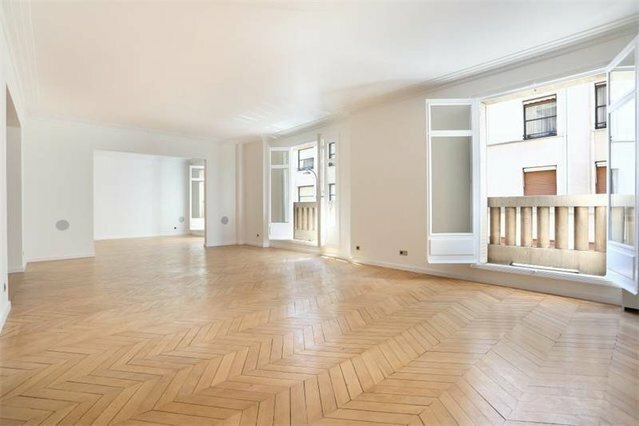 This peaceful south-west facing apartment is on the 1st floor of a fine turn-of-the-century Haussmannian building. Featuring 3.20 metre high ceilings with mouldings, parquet flooring and fireplaces, it offers 250 sqm of living space including a double living/reception room, a dining room, a newly equipped kitchen, four bedrooms and three complete bathrooms. Reversible air conditioning, integrated music system in all rooms. With two cellars. A 6th floor maid’s bedroom may be acquired at extra cost, and a rented parking space is available.